Accounting Insurance Washington. If you work as an accountant, CPA or financial specialist, then a business owner's policy or BOP policy is an essential part of doing business. This type of policy protects your business from liability and financial fallout caused by liability in a similar way that a homeowner's policy protects your home residence and the home's contents. BOP policies are relatively inexpensive and a part of the cost of operating an accountant business. BOP policies combine several basic coverage types into one policy that provides your business with the protection it needs from potential perils and liabilities. Most small accounting businesses and people doing business in the financial services realm should own a accounting insurance Washington policy. This includes accountants, financial advisers, financial counselors, and other financial-related business owners. 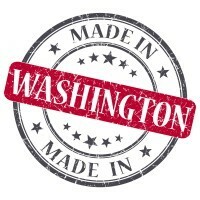 Accounting insurance Washington protects your firm from lawsuits with rates as low as $47/mo. Get a fast quote and your certificate of insurance now. Errors and omissions (E&O) coverage. This type of accounting insurance Washington policy is oftentimes recommended for accounting professionals because it gives you protection from liability due to errors you make in preparing clients' taxes and financial documents or from omissions you make during the process. For instance, if you overlook an expense while preparing a financial statement for a client, and the error results in financial loss and leads to a suit against you, this insurance kicks in. Whatever your situation, choosing an accounting insurance Washington policy that meets your needs is a move in the right direction. Work with a licensed agent with experience in business insurance to find the right level of protection for your specific firm's risks. Request a free Accounting Insurance Washington quote in Aberdeen, Anacortes, Arlington, Auburn, Bainbridge Island, Battle Ground, Bellevue, Bellingham, Bonney Lake, Bothell, Bremerton, Burien, Burlington, Camas, Centralia, Chehalis, Cheney, Clarkston, College Place, Covington, Des Moines, DuPont, East Wenatchee, Edgewood, Edmonds, Ellensburg, Enumclaw, Ephrata, Everett, Federal Way, Ferndale, Fife, Gig Harbor, Grandview, Hoquiam, Issaquah, Kelso, Kenmore, Kennewick, Kent, Kirkland, Lacey, Lake Forest Park, Lake Stevens, Lakewood, Liberty Lake, Longview, Lynden, Lynnwood, Maple Valley, Marysville, Mercer Island, Mill Creek, Monroe, Moses Lake, Mount Vernon, Mountlake Terrace, Mukilteo, Newcastle, Oak Harbor, Olympia, Othello, Pasco, Port Angeles, Port Orchard, Port Townsend, Poulsbo, Pullman, Puyallup, Redmond, Renton, Richland, Sammamish, SeaTac, Seattle, Sedro-Woolley, Selah, Shelton, Shoreline, Snohomish, Snoqualmie, Spokane Valley, Spokane, Sumner, Sunnyside, Tacoma, Toppenish, Tukwila, Tumwater, University Place, Vancouver, Walla Walla, Washougal, Wenatchee, West Richland, Woodinville, Yakima and all other cities in WA - The Evergreen State.